Indigenous people worldwide have their creation stories and hold them dear. No surprise to learn, then, that the Havasupai sued Arizona State University for using tribal members’ blood samples for research purposes the scientists failed to disclose. Tribal members believed they had given blood to help scientists learn about health issues (such as diabetes) and discovered that the blood was also being used to study Indian migration patterns. The lawsuit was settled in April, in favor of the tribe. Many tribes reject the theory that Indians arrived in North America from Asia, although scientists present compelling evidence that humans originated on the continent of Africa. My mother’s family roundly rebuffed the notion and my mother loved to tell the story about how she ran home from grade school to recount the history lesson she heard about the land bridge. My great-grandmother believed that the Osage people came from the stars to care for the earth. They were called “Little Ones.” If any traveling was done, then the Osages walked the other way over the land bridge to populate Asia: other way, Margaret. My mother and father decided to have their heritages traced and signed up for a program they read about in National Geographic called the Genographic project. My dad said they sent swabs from their cheeks rich with DNA to learn their migration histories. He said they received a map that traced each of their origins, and that his began in Africa (everyone’s does) and then travelled through Europe. 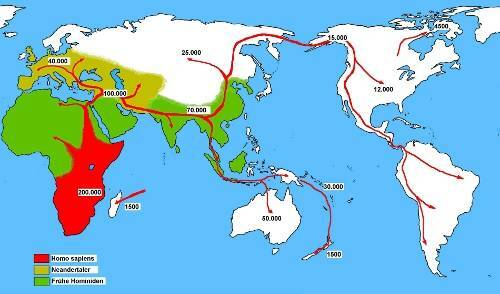 But my mother’s began in Africa and then veered toward Asia. Most likely my mother reconciled her origin stories with the scientific data produced by National Geographic. My guess is that each version rested parallel in her thoughts. And that mirrors my work with Native Science: finding ways to honor the pluralism we encounter with different ways-of-knowing, without elevating western science to a high plateau while disparaging indigenous knowledges. This entry was posted in authenticity, human origin, Indian, Native Science, Osage, science, Uncategorized. Bookmark the permalink.